Seller had to relocated just five months after purchasing this home as a new construction from the builder. 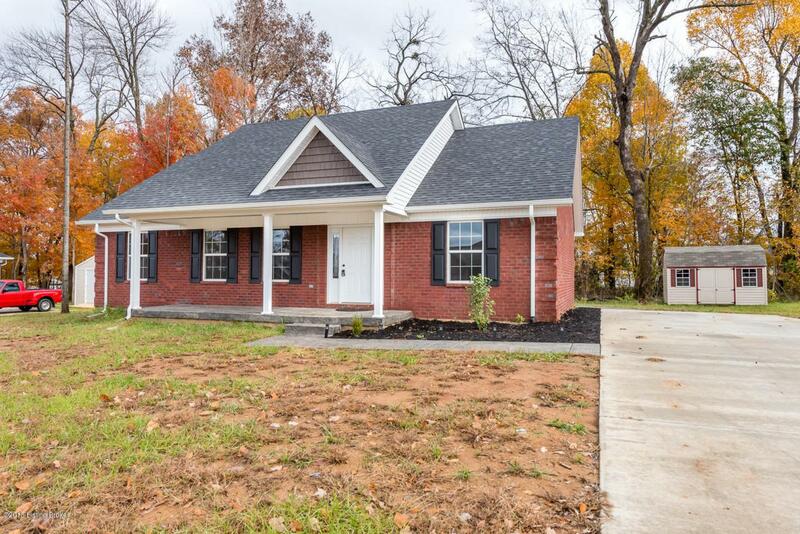 This home is ready to go without any wait time and allows someone to have a home for the holidays. Since purchasing the seller has added a brand new stove, microwave and refrigerator that will remain for the new buyer. Also, the rear shed was purchased for $3200 just months ago and remains for additional storage space. Still having a new construction feel this home offers hardwood flooring, tile flooring in the master bath, hall bath and the separate laundry room. This open concept floor plan offers great privacy with a split bedroom arrangement that allows for the master suite to have more privacy.The yard is .4 acres and is wooded to the rear for extra privacy while you enjoy the rear patio.